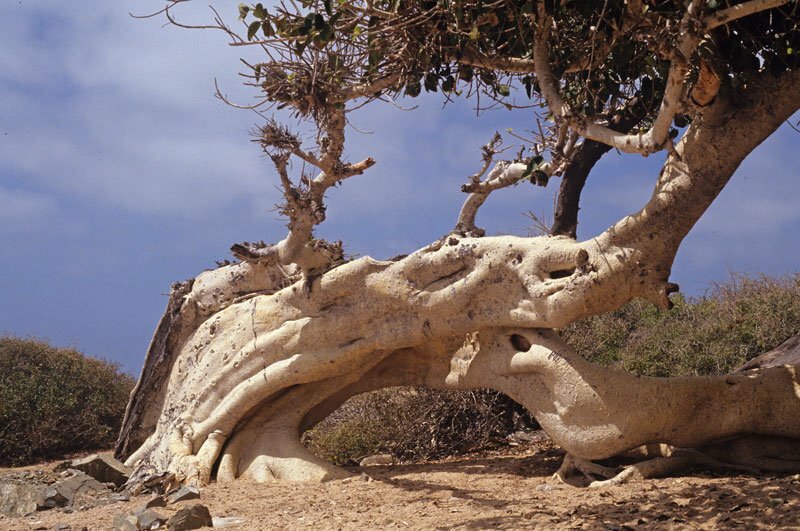 An inescapable feature of Playa Higuera is a gnarled, old, twisted and contorted fig tree which is completely out of place. 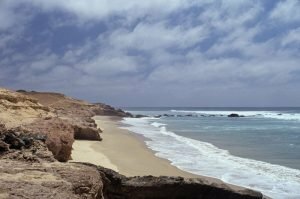 The savage looking beach is lashed with waves and is partially hidden among rock formations. This is a beach for the adventurous only as the surf is rough. Continue along the dirt coastal road to about 19.6 miles from San José del Cabo, the beach is just beyond the Fig Tree. From the opposite direction; about 35 miles south of La Ribera, just past Rancho San Luis.